If you are looking for a basic office application for your Android, Palm, or Symbian phone, look no further. 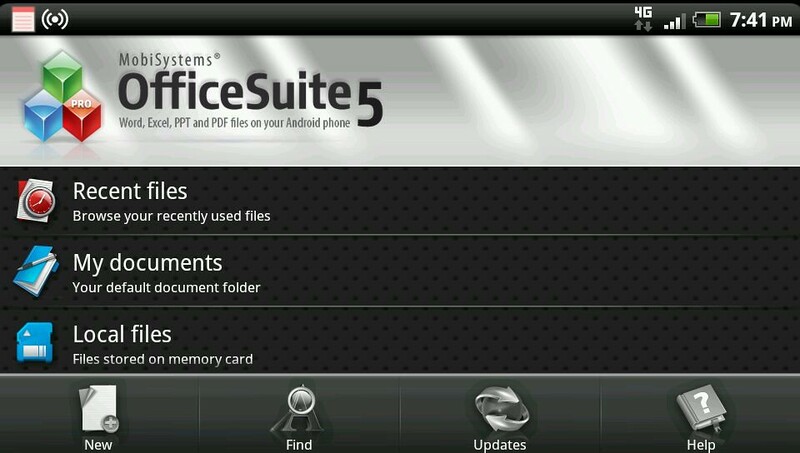 OfficeSuite5 has every thing you will need for your basic office work. For the price of 4.99 you can’t go wrong, with it. There are a few things that I hope they will fix in a future update but, for the most part it is a really polished app.